Mister Rogers has been to a farm visiting his friends who have a water pump and a cow. He talks about how water comes from a pump and milk comes from a cow. In the kitchen, Mister Rogers pours himself some milk and drinks it with a straw as he talks about how water travels through pipes to get into his house. In the Neighborhood of Make-Believe, the well outside the factory is complete with pipes taking water inside. As Corney greets viewers, he sings I'm a Man Who Manufactures. Scientist Alder stops by to test the water coming from the pump and finds that it is okay to drink. Pouring some water into a kingly glass, King Friday is offered the first water from the pump. Back at the house, Mrs. Rubin has arrived with a variety of art projects made with straws. She and Mister Rogers work together to make artwork of their own. 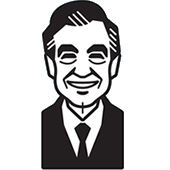 Mister Rogers concludes by talking about how Corney wanted nothing in return for the water he offered to King Friday -- it was simply a neighborly gesture of kindness. 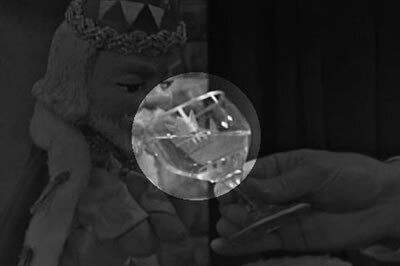 Looking closely, King Friday's mark can be seen on the side of the water glass.